Learn how you can lower your time to hire, improve candidate experience and hire smarter. 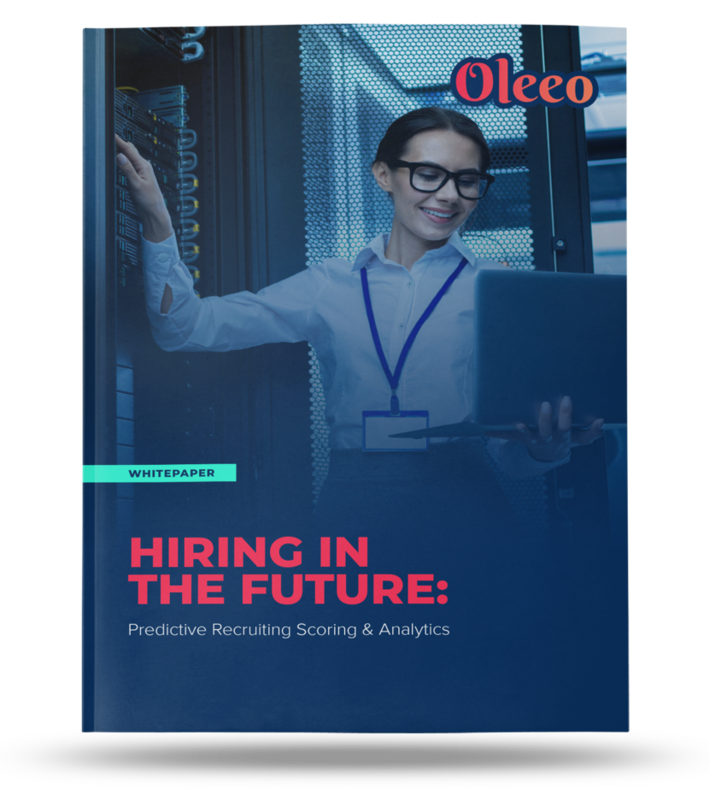 Download our predictive recruiting whitepaper today! The future is here and it’s making hiring a whole lot smarter. With predictive recruiting scoring and analytics, organizations can improve everything from the candidate experience to overall company performance. Read how! Finding the right candidates that are a fit within your company is just one-way predictive analytics can help with recruiting. Once applicants enter the hiring pipeline, prescriptive analytics can quickly identify which are most closely suited for your company. Predictive and prescriptive analytics help teams move forward with confident sourcing, recruiting and hiring decisions. The technology benefits nearly every part of the process.